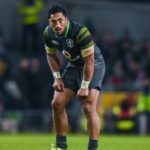 Bundee Aki will make his Six Nations debut for Ireland in their clash against France in Paris on Saturday. 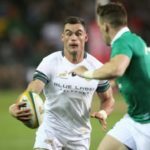 Jesse Kriel feels that the Springboks have what it takes to keep Ireland’s hulking centres Bundee Aki and Robbie Henshaw in check on Saturday. JON CARDINELLI in Dublin reports.